Many people dislike WordPress code. It’s no secret that for contemporary PHP developers WordPress feels antiquated. The founder of WordPress was even once-upon-a-time vocal about not keeping up to date with the PHP eco-system because reasons. Times changed. So did PHP. So did WordPress. To give credit where credit is due, the reasoning behind WordPress’ conservative change management is sound. They don’t want to mess with their insanely huge user base. That’s a lot of users. By choosing WordPress as your development platform you get massive traction for free. The good news is that when you develop for WordPress you don’t ever touch WordPress code. Instead you write a Plugin. I put forward that in 2017 nothing is stopping you from writing a good, clean Plugin other than yourself. WordPress is PHP 7 compatible. WordPress is also HHVM compatible . Running on either vastly increases performance. It follows that if your environment is PHP 7 then you get the syntax. WordPress Plugins can have PSR compatible namespaces. WordPress’ answer to Event Dispatcher (and/or Observer) are the add_action() and add_filter() functions. These functions are compatible with closures. Or *any* standards compliant PHP 7 code you want to write. With thousands of actions and filters available, pretty much any part of WordPress can be changed. PHPStorm supports WordPress Plugin development out-of-the-box. 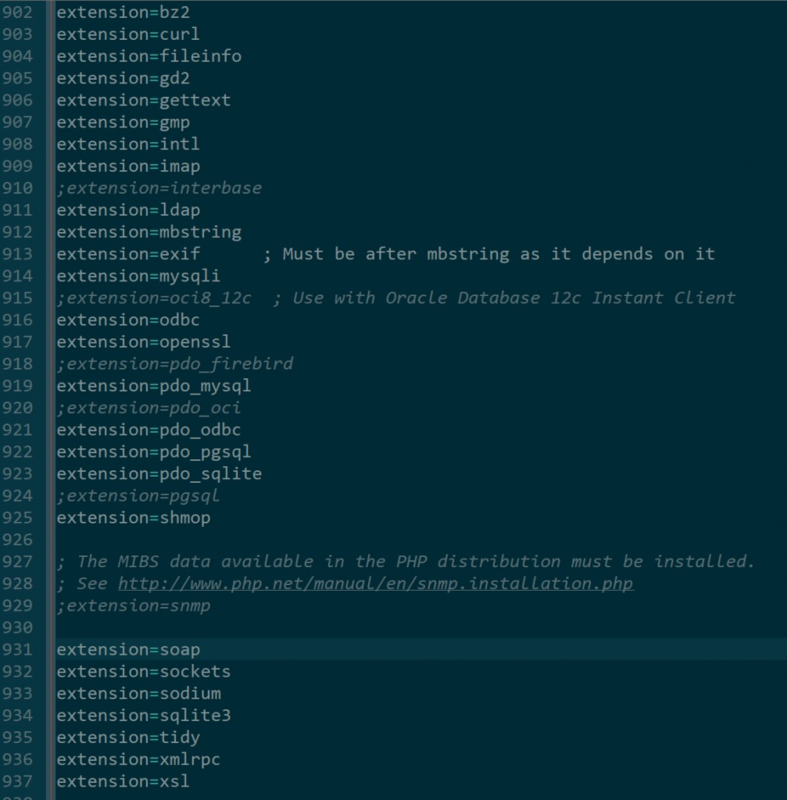 WP-CLI is a set of command-line tools for managing WordPress installations. It simplifies many developer and deployment related tasks and makes unit testing your plugin possible. WordPress Plugins have PHP CodeSniffer rules ready to go. WordPress Plugins can be installed using Composer. Bedrock and Trellis for the win. WordPress is licenced under the GPL. This still matters. Is there room for improvement? Of course! Just like PHP, WordPress is always improving with the caveat that just like PHP, WordPress strives to keep backwards compatibly. Developers rejoice, WordPress is moving forward, kicking and screaming as we drag it into the future. My wife’s Japanese comic about our family is a responsive website. A cool trick I learned at ConFoo while listening to Christian Heilmann speak was that I could leverage built-in mobile technology by simply adding a manifest.json file to the code. A manifest turns a responsive website into an installable app. It lets users add it on their mobile phone’s home screen. When they launch the site it gets a splash screen and runs in full screen mode, basically behaving like a native app. Caveat: For this to work HTTPS is required. Use certbot if you don’t already. I used Manifest Generator to get started and it was easy. According to the ConFoo talk Bing indexes sites with manifest.json files and prioritizes them as smartphone compatible. A simple SEO win? Now my family’s manga is an app. Horray for the open web! This tutorial will show you how to code a simple JSON API using Opulence PHP. We will install Opulence’s skeleton project using composer, then create a ‘user’ database entity, and finally we will match CRUD (Create, Read, Update, Delete) to POST, GET, PUT, and DELETE. The default Opulence app name is Project. Using apex, rename it to SimpleApi. Manually create a MySQL database named simpleapi and modify config/environment/.env.app.php accordingly. Using apex, create a matching entity class named User. Note: These commands create stubs / empty templates. You must finish the code yourself! Open the newly created src/SimpleApi/User.php and finish the mutator methods so that the properties match the database table. Implement JsonSerializable too. Using apex, create a SQL data mapper named User. When prompted pick SQL data mapper and use \SimpleApi\User as the entity. Open the newly created src/SimpleApi/Infrastructure/Orm/User.php and finish the stubs. 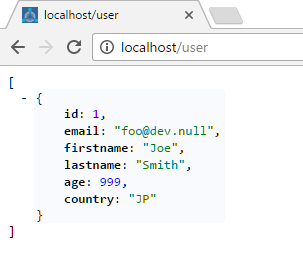 Using apex, create a Controller named User. When prompted pick REST controller. Open the newly created src/SimpleApi/Application/Http/Controllers/User.php and finish the stubs. Type-hint any objects your controller needs in the controller’s constructor. Create a generic repository object for \SimpleApi\User. Open config/http/routes.php and configure CRUD routes to use the controller class. Got ideas on how to improve validation, error handling, security, or any other Opulence PHP tips? Post in the comments below. PHP7 is a general purpose scripting language well suited for web development. Composer is the defacto package manager for PHP7. This tutorial will show you how to install PHP7 and Composer on Windows 10 for use in a command prompt. A common misconception is that you need a web server like IIS, Apache, or Nginx to get started with PHP7 development. In fact, PHP7 has its own built in web server that you can invoke at the command prompt. Modern PHP frameworks such as Opulence, Symfony, Cake, Laravel, WordPress, and many more support this. Open the newly copied C:\PHP7\php.ini in a text editor. Scroll down to the extensions section and uncomment the extensions you want to use. Note: The syntax used in previous PHP versions (‘extension=’php_*.dll’) may be deprecated in a future PHP major version. Tweak other settings as needed. Note: Don’t forget to keep your php.ini file in a safe place when you upgrade in the future! Add C:\PHP7 to the Windows 10 system path environment variable. Windows 10 has finally improved this interface, yay! 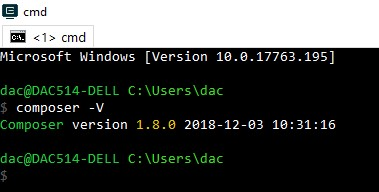 On my computer I’ve created a C:\Users\dac\bin directory where I keep miscellaneous executables. This directory is in my user path. Use a search engine to find a tutorial and do something similar. Optionally install composer in the C:\PHP7 directory you just created as it’s already in your path. Opulence v1.0.0 has been released. Links to slides of PHP talks I thought were cool at Confoo 2016.